freedom fighters would continue their fight against the Visitors. season, and a change of format, caused a ratings slide, and the Series was cancelled after only 19 episodes. 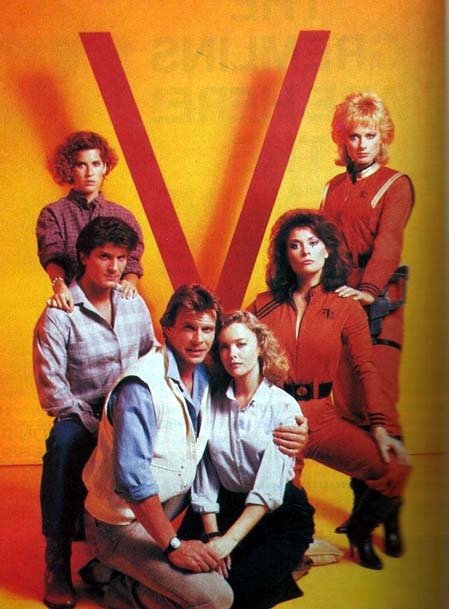 This site is the only site devoted almost exclusively to V: The Series, as well as being a fully Interactive site. V is a Daniel H. Blatt/Robert Singer Production in Association with Warner Bros. V and its associated images are copyrighted by Warner Bros. All other photo copyrights to their respective owners. No copyright infringement is intended or implied. These pages are intended for entertainment purposes only.